A lighthouse familiar to many, the Rhinns of Islay lighthouse on Orsay. 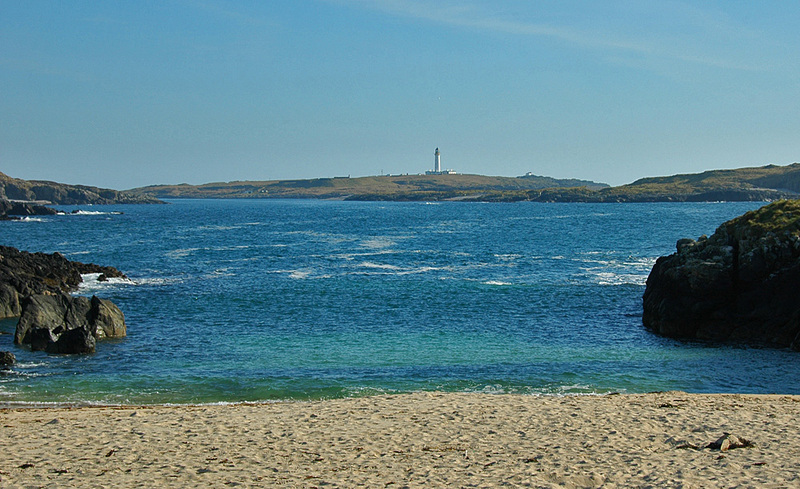 This view is from the small beach just north of Portnahaven known as Currie Sands. Portnahaven is towards the left behind the cliffs (not visible from here). This entry was posted in Beaches, Lighthouses, Repost, Sunny Weather and tagged Currie Sands, Orsay, Portnahaven, Rhinns of Islay by Armin Grewe. Bookmark the permalink.